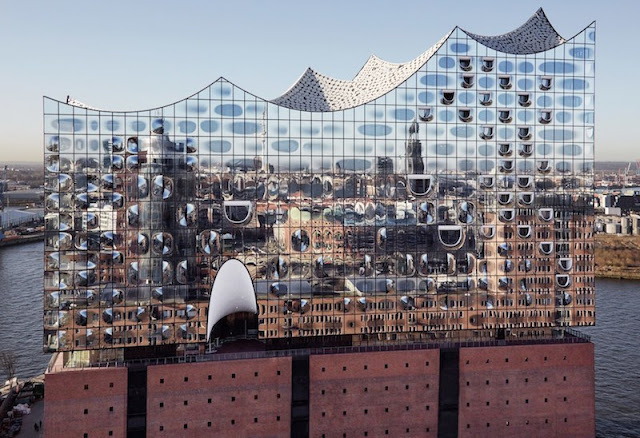 The newly opened Elbphilharmonie concert hall in Hamburg, Germany is a visually stunning structure from a design perspective, with its gorgeous wave-shaped facade, curved elevators, and its seemingly endless stairs. 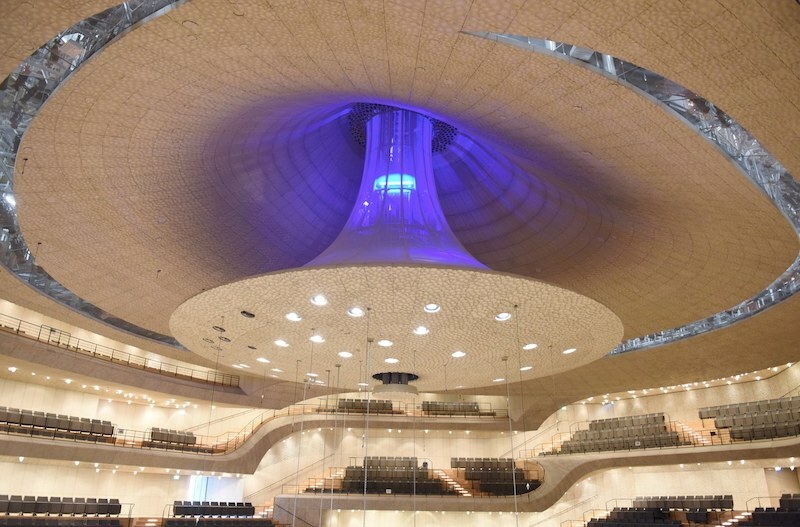 However, the focal point of the $843 million building is its one of a kind central auditorium designed specifically for a balanced sound throughout the concert hall. As reported by Wired, Swiss architectural firm Herzog and De Meuron worked alongside One to One studio to painstakingly build the coral reef-like structure from 10,000 unique acoustic panels lining the ceiling, walls, and balustrades. 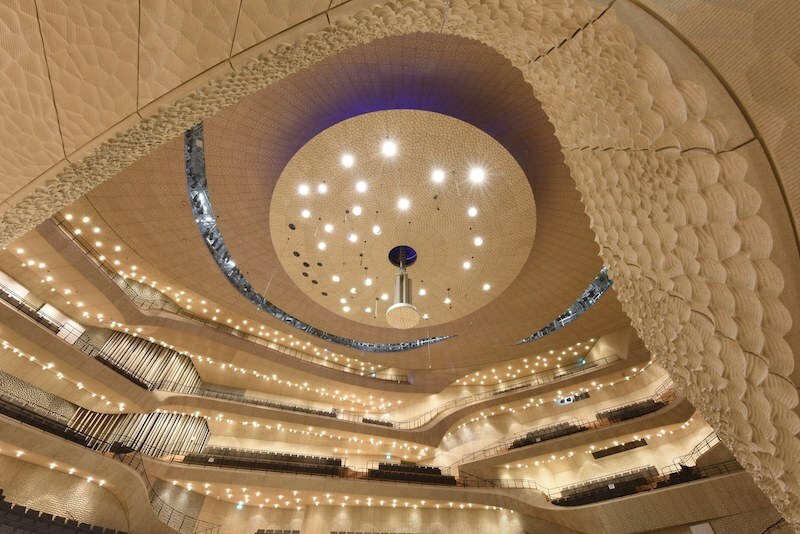 The 10,000 panels feature a total of one million “cells,” or divots designed to shape sound within the auditorium. 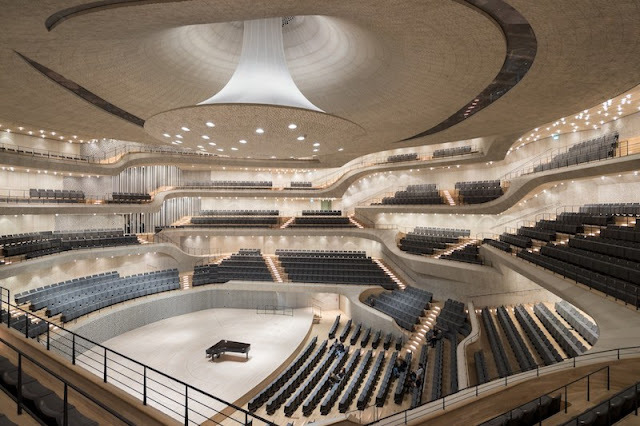 When sound waves hit a panel, the uneven surface either absorbs or scatters them to create a balanced reverberation across the entire auditorium. Herzog and De Meuron collaborated with famed acoustician Yasuhisa Toyota to create the perfect balance between optimal acoustics and beautiful design. From there, One to One founder Benjamin Koren developed an algorithm to generate a different shape for each of the gypsum fiber acoustic panels. The central auditorium seats 2,150 people and is lit by 1,000 hand-blown glass light bulbs which accentuate the futuristic appearance of the spacecraft-like structure. Check out some photos below, and find the full set here.